Let’s see a movie, theatre production, another country, art exhibits, baseball game. What? Who knows what the band will be performing? Let’s See! All concerts will be held at Holy Covenant United Methodist Church in Katy, Texas. 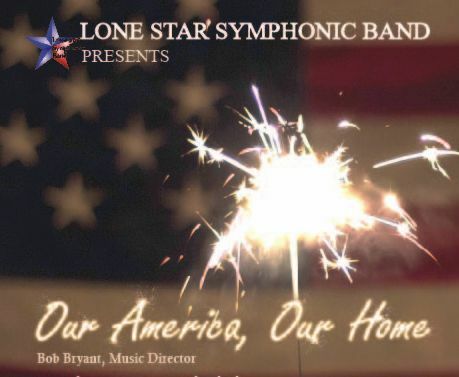 The annual patriotic concert always leads in great celebration and appreciation for our country and those who have served and continue to serve America. Join as we celebrate the birth of the greatest country in the world. As is the tradition, we will also feature the Lone Star Community Chorus. 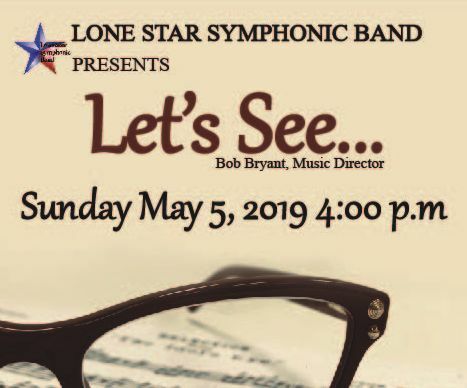 This concert is always "standing room only" so plan to purchase your tickets early as we celebrate community, state, and nation!